The menu above is a sample menu. Menu items change based on season & availability. 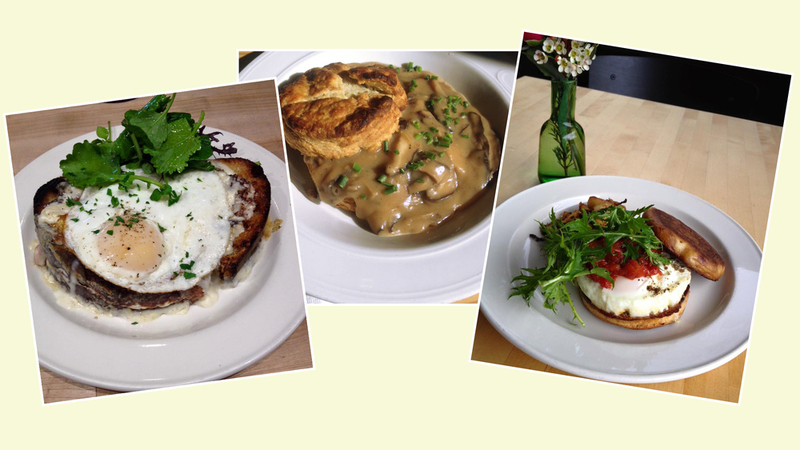 Located in the Orcas Island Artworks Gallery, Catkin Cafe serves breakfast and lunch, all day. The cafe's menu features island grown meat and produce, house made pastries and sweets. Catkin also serves strong coffee, fine loose-leaf tea, beer and wine. We’ve eaten both lunch and brunch here and have been impressed with the ingenuity of the offerings and the increased speed of service. Service is friendly and knowledgeable.